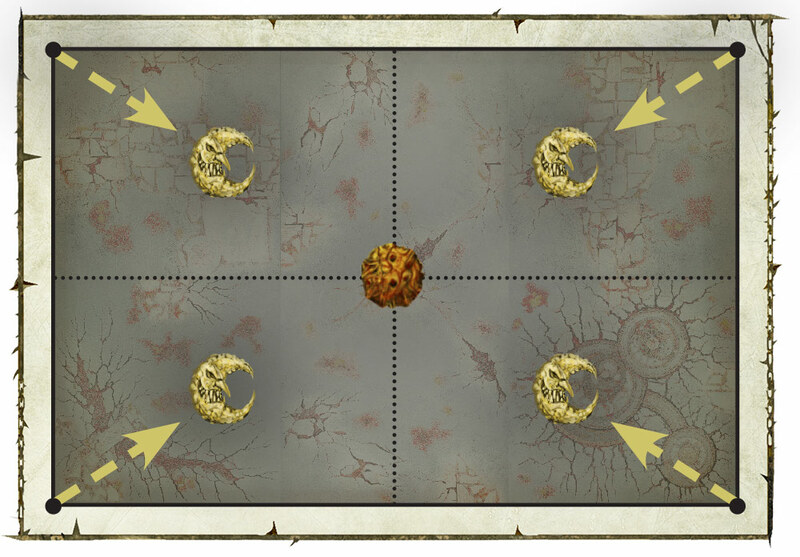 At the start of the game, you’ll pick a corner of the board for the Bad Moon to start in. Starting from the second battle round, it’ll begin to move from one corner to another – offering enhancements to Gloomspite Gitz units that are wholly within the board segment it’s currently shining on. Enemy Units anywhere on the board are bombarded with meteors from the Bad Moon, and take damage. Squigs under the Bad Moon can advance and charge in the same turn. if this happens every turn no matter where your units are (assumingly D3 MWs on a 6+, and you have to test per unit and perhaps a higher chance if you are on the quarter with the moon) this feels kind of broken o.O. If this effect is more like: Roll one die at the start of the turn and the enemy takes D6 MWs on a 5+/6+ and the enemy can distribute the damage among his units as he/she likes, it might be more fair. Let's see how this gets implemented. Another question would be how the mechanic works if there are two Moonclan armies facing each other (or even more). Are there multiple bad moons? And does each Bad moon affect enemy gloomspites the same way it affects friendly gloomspites units? Common sense suggests it will be the same as with the Idoneth: there is only one bad moon which counts for both. 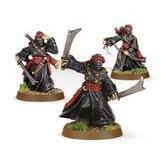 The link in the article for stabbas and shootas links to Gitmob Grots... I expect that is an error. Would be interesting if they were rolled in. Nah I dont think so, they would have mentioned it. Especially since there are no pictures of Gitmobs, wolves, or artillery. Stabbas and Shootas are the moonclan grots. 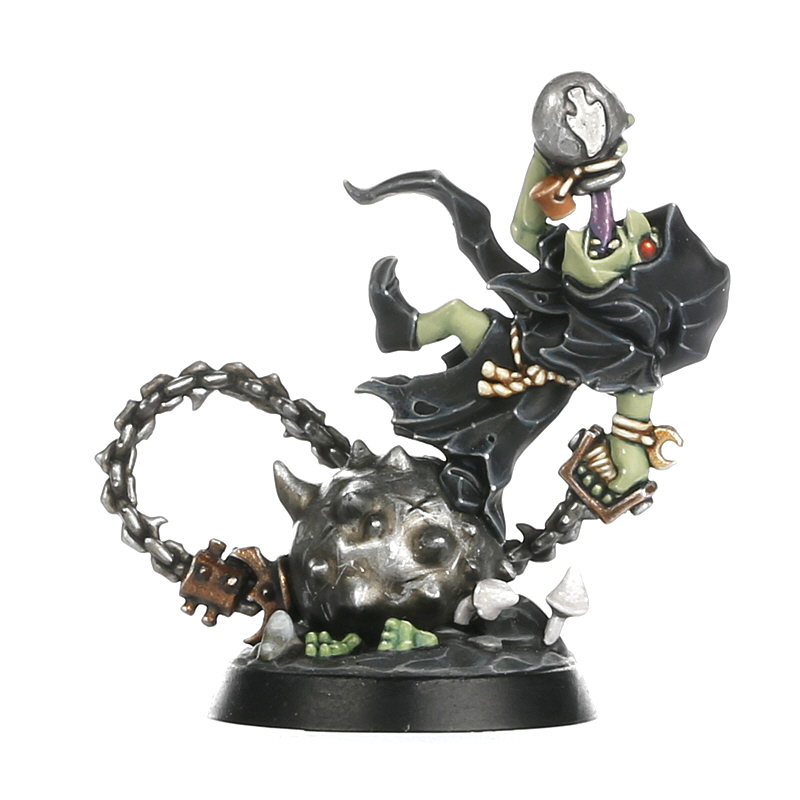 Well you could also use the gitmob grots as Stabbas and Shootas as just an aesthetic choice, but that may confuse people unless you heavily convert them. Maybe the shootas will get the gitmob horde ability to hit better with higher amount of models so thats why they linked the gitmob variants. As currently only there little daggers are affected by the horde bonus not there bows. So if we have a group of 30 we will be hitting on 3's rerolling 1's! I imagine Skaggrot can alter the placement of the Bad Moon each turn, the loonshrine may also do that to. I can also see there being a command trait that will either letter a generic boss to alter the course of the moon or gain 2 CPs instead of 1 when stood under its glow. It maybe also funny to see if our stabbas will become like witch elves with all the bonuses we may get to stack on them with the sneaky snufflers, the brewgit and any spells that buff a unit. Would be quite scary if all of sudden we had 3 attack gobbos with a 4+ reroll 1s and a 3+ to wound! Maybe they will get a death frenzy type ability. Here’s a summary of Ben’s twitch commentary. So what is the duelkit from which a trogboss is made? Dankhold? "Scaremonger – How do you scare a Moonclan grot? You wear a sun mask"
I didn't even realize he was wearing a sun mask before. I thought it was just a flame mask. But now it all makes sense. So the loon boss supposedly buffs stabbas and the terrain piece lets you bring back stabbas/shootas. Am I right in assuming stabbas instead of spears are sounding like the ideal build option for the core of a new players army? A lot of players seemed to have built their armies around the spear units but maybe GW is doing this to make people buy whole new sets of grots, akin to rebuying a portion of your army over again. Or maybe stabba is just the name for the unit regardless of how they are armed. Stabbas is probably the name of the warscroll that has 2 options. Swords / Spears. It is what I am doing, though my Sourbreaths are on 40s and the new Rockguts are on 50s and look bigger.